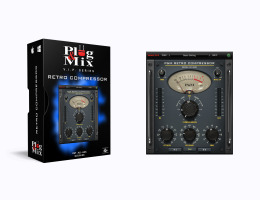 P&M Retro Compressor is a compressor that has a vintage sound with those retro-looking controls. Quickly dial in your compression settings with the easy to use knobs. Use the R-2, R-4 and R-8 buttons to achieve a more extreme compression sound. 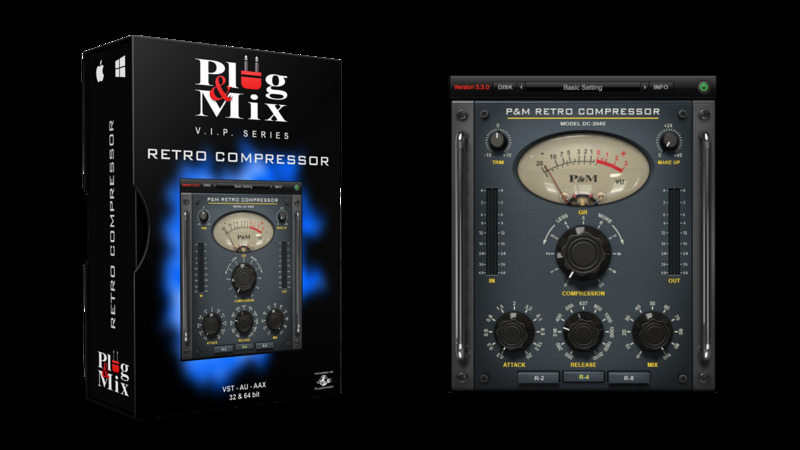 Use the traditional attack and Release knobs to dial in how the compressor reacts to incoming signal while using the big Compression knob to control the level of Gain Reduction. Trim adjusts the input while the Make up gain controls the output of the overall sound. Compression : Determines the amount of gain reduction applied to the input signal. Attack : Adjusts the speed of the compressor’s attack. Release : Adjusts the speed of the release of the compressor. Selector buttons : Choose between R-2, R-4 and R-8 to increase the release duration. Trim : Controls the level of the input signal. Make Up : Controls the output level of the plug-in. Plugivery is an official distributor for all Plug And Mix's products.